I’ve always enjoyed coming up with chapter titles for various segments of my life. When I was in seminary I worked part-time at the library on campus. During my first semester I worked a shift until we closed at midnight. And after a long day of classes and work, on the way home I’d realize that I was hungry. It wasn’t the kind of hunger that comes from not eating anything all day. It was more that I was often just really tired and my body processed that as hunger. But there happened to be a Taco Bell just a few blocks away from my apartment on my way home and it was almost as if the car just drifted into the drive-thru to order that fourth meal. I’d order some food and pull around to the same cashier every week. The name of that cashier? 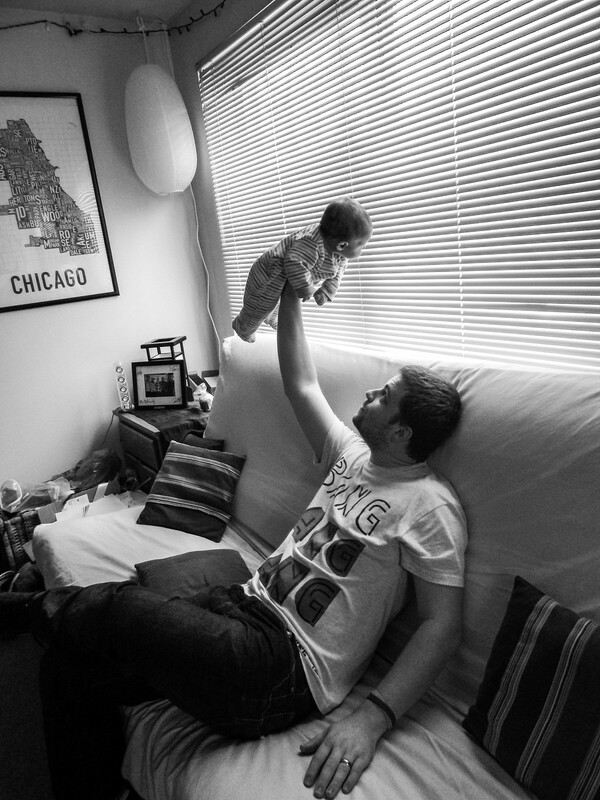 Soon after Sarah, Micah and I moved into the city of Chicago, Micah started walking, giving him access to everything in our apartment. He loved to scurry to the kitchen and play with the items in the pantry. Pots, pans, and cans would end up in random places all over the apartment. One day as I went into the bathroom to take a shower I glanced into the tub and saw something out of the ordinary. I called out to Sarah. And thus another chapter title was birthed. Sarah and I are still processing through yesterday’s diagnosis of Micah. During breakfast today she and I talked about it for quite a while. There are definitely some significant differences between how she and I are working through the news. I feel more relief about this than she does. She said relief isn’t really something she is feeling right now. She’s more just…sad about it. But not a sad like, “Oh woe is me!” kind of a sad. But a sadness that’s related to Micah’s future. I think those sorts of details are the kind that are nagging Sarah at the moment. I don’t want to speak too much for her, but that’s where she seems to be right now. And I understand that. And that’s ok.
She also told me how sad she was for Ezra. She wondered how he’ll feel about all this as they grow up together. Will he be embarrassed? These are the kinds of thoughts I haven’t made it to yet. Sarah thinks quickly into the future. I stay more focused on the present. I am incredibly thankful for all those who took the time to read my post yesterday. It really means a lot. It is by far my most widely read piece to date. If I would have known that ahead of time, I probably would have given it another read through (or two) before hitting the ‘publish’ button. But really. It does mean a lot that so many took the time to read through it. To comment about it on Facebook. To comment about it here. To text me. To message me privately. I do plan to be writing and blogging a lot more this year. If you want to follow along you can subscribe to this blog. Just look to the left column of this page and you’ll see a place to sign up to recieve emails when I post a new entry. And if you are a WordPress.com user and you are signed in, you can click the follow button and read my posts in your Reader. You can also subscribe via RSS if you happen to use something like Feedly. Or don’t. That’s totally fine, too. But, really, thank you all. Please don’t worry about saying the right thing to us. Or wording things just right. Honestly, at this moment, just knowing that people were willing to take the time to hear our story, to learn more about Micah and his genetic condition. That’s enough. If you are the praying type of person, though, prayers are definitely appreciated. Ok. So the big news for today is that we went to Micah’s new preschool to meet his preschool teacher and the therapists that will be working with him. We couldn’t be more excited for him to go to school and enjoy some structured learning time with therapists as well as other children. 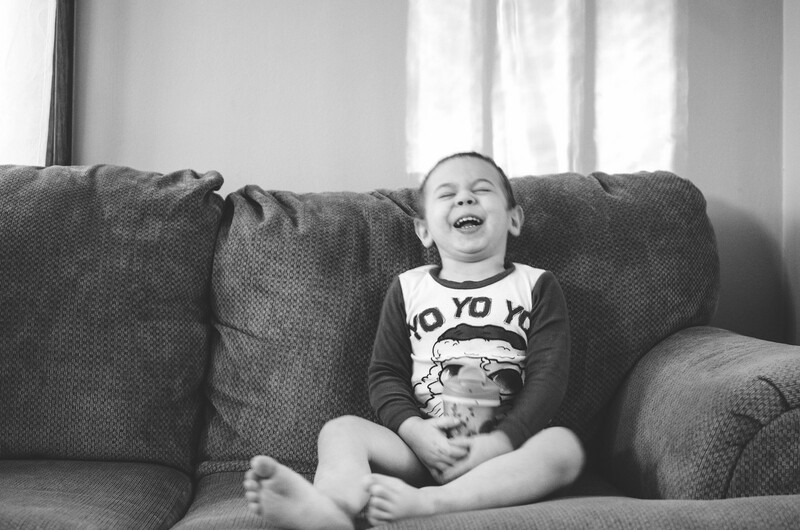 As we started to go over the details of Micah, we were able to tell them that just yesterday we received the diagnosis of Kabuki Syndrome for Micah. Now, we were told by the geneticist that we would have to explain what Kabuki Syndrome is to anyone we ever tell about it. He said he could pretty much guarantee us that no one will have heard of it before. So we started to explain what Kabuki Syndrome is when the occupational therapist interrupted us politely and said that she knows what it is, and that in fact, she’s worked with three other kids that have had Kabuki Syndrome in the past. And another child that they thought might have had it, but ended up not having it after all. Wow! What are the chances? Probably similar to winning a $1.5 billion Powerball. The meeting was almost one and a half hours long. We talked about Micah. Went over goals. Talked about potential limitations. Went over what the daily schedule looks like. Pretty neat stuff. Micah is in a classroom with a total of 19 other kids. Ten are kids who have developed normally and do not have any sort of disabilities. Ten are kids who have not developed as expected and have various sorts of disabilities. There is a preschool teacher that focuses on the ten with developmental issues. There is a preschool teacher that focuses on the ten without developmental issues. There is a speech therapist. There is an occupational therapist. And there may be other professionals that I didn’t meet today as well. I’m actually not quite sure. Pretty amazing though. And all of this is provided to us without charge. It’s free. And to me, that’s the hardest part to grasp. This is such an incredible blessing that is being provided to our family. This will completely change our lives, and especially the life of Micah. Going to preschool and working and playing and learning in that structured environment is going to be so incredibly great for him. He is totally going to thrive. No doubt in my mind. And we set it up for him to start riding the bus as soon as possible. It takes a little while for them to get that established, maybe another seven to ten days or so, but eventually Micah will be eagerly waiting for the bus to come.And then he’ll get on the bus and ride off to school. It’s hard for me to really even grasp right now. This is such a new chapter in our family’s life. When Micah is at school in the mornings, I’ll get to have one on one time with Ezra for a change. And then when Micah comes home, the three of us will have lunch and then Ezra will take his afternoon nap while Micah and I get one on one time together. What a neat, neat thing. I think I’m ready for this chapter. I’m more than ready. Early in the morning on September 17th, 2012 Sarah’s water broke. She was five days overdue and extremely ready to meet our first little baby. After a few hours of trying to get comfortable at home we headed to the hospital to meet our little guy. The labor went quickly, without any real hitches at all, and our first son Micah entered the world at 12:31 in the afternoon. 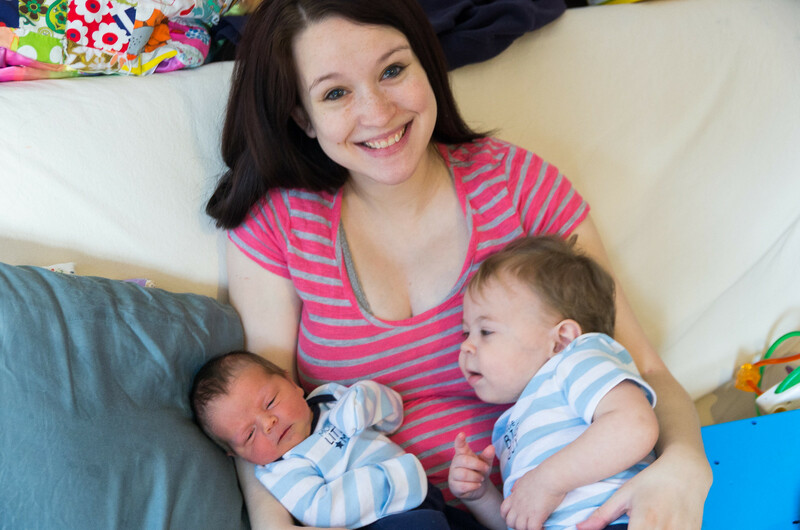 It is a birth story that Sarah’s midwife said needed to be told frequently to encourage other pregnant women. Birth stories aren’t all bad or horrific or traumatizing. We were fortunate to have a good one to tell. It was a Monday. I’ll never forget the feeling of lying in that roll away hospital bed that first night with Micah watching Peyton Manning throw four interceptions on Monday Night Football. I had a son. And life as I knew it had changed forever. And I was totally ok with that. 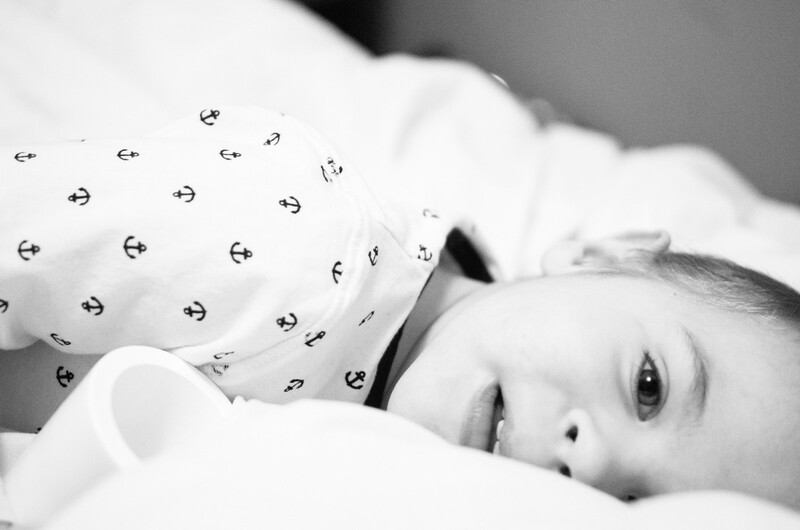 Beyond just a few struggles with learning how to breastfeed, Micah was a champ as a newborn. Sometimes he demanded to be held to fall asleep, but overall, Sarah and I were totally ok with that. We were parents. We were proud of it. And Micah was just about the cutest baby we thought we had ever seen. We were often told how attentive he looked and how energetic and playful he seemed. After six short weeks, Sarah went back to work again. (I’ll never forget the frown she gave me on the way out the door). And so it was just me and Micah every day. 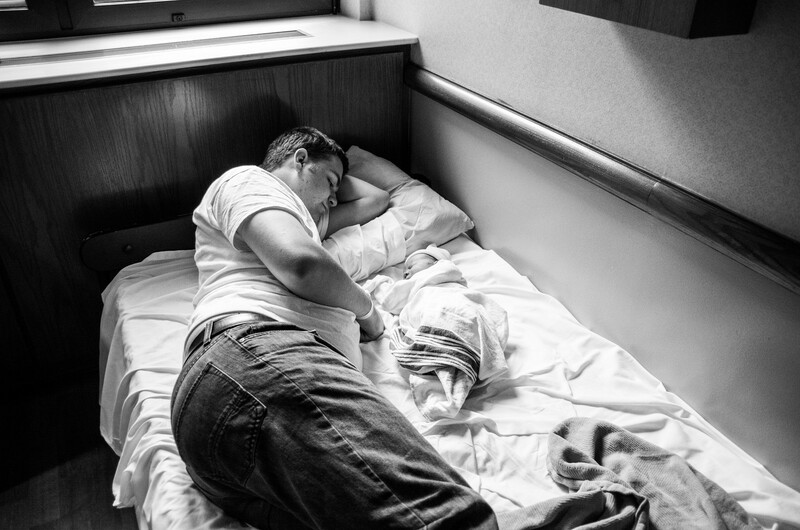 As many know, being a stay at home parent of a newborn can be trying. It has its ups and excitements, and it definitely has its monotony and its downsides. It can actually be pretty lonely. I watched a lot of movies during those first few months while Micah slept on my chest. When Micah was born we were living in a north suburb of Chicago. But when Micah was about 9 months old Sarah got a job as a nurse at the Rehab Institute of Chicago and we moved into the city. Micah had not once slept through the night his entire life up to this point. The second day in our apartment in the city happened to be the same night that the Chicago Blackhawks won the Stanley Cup. As soon as they won, the city went crazy. Motorcycles revved their engines up and down the streets. Fire trucks blared their sirens. People shouted and cheered in the streets. But that night was the first night that Micah ever slept through the night. Sirens, motorcycles, and all. The three of us quickly adjusted to the wonderful city lifestyle of Chicago. And just a couple months after moving into the city, Micah learned to walk. 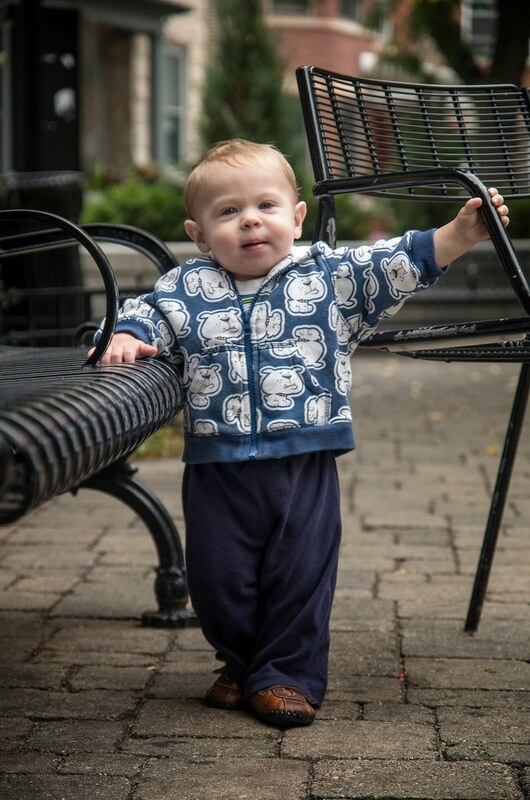 He was around 11 months old when he started walking, and running wasn’t far behind. It looked so funny because he was such a tiny little dude that people did not expect could walk or run. But could he ever! In the late summer Sarah and I learned that she was pregnant and that we were going to have another baby sometime in late March. Sarah was a total trooper. She worked hard throughout her entire pregnancy while I continued to stay home with Micah. The winter that year was brutal. I think it was the second or third snowiest winter on record. Thankfully Sarah took the train to work. On March 23rd of 2014 we got to meet Ezra for the first time. Sarah gave birth to him in the exact same room that Micah was born in, which was pretty neat. And her labor went much faster and with even less issues than Micah’s birth (with a few extra moans, because this time she decided to go all natural). Micah was so excited to meet his little brother. I’ll never forget the first time he got to meet Ezra. He was so kind and gentle with him. It melted Sarah and my hearts to see him interact with his new little brother. 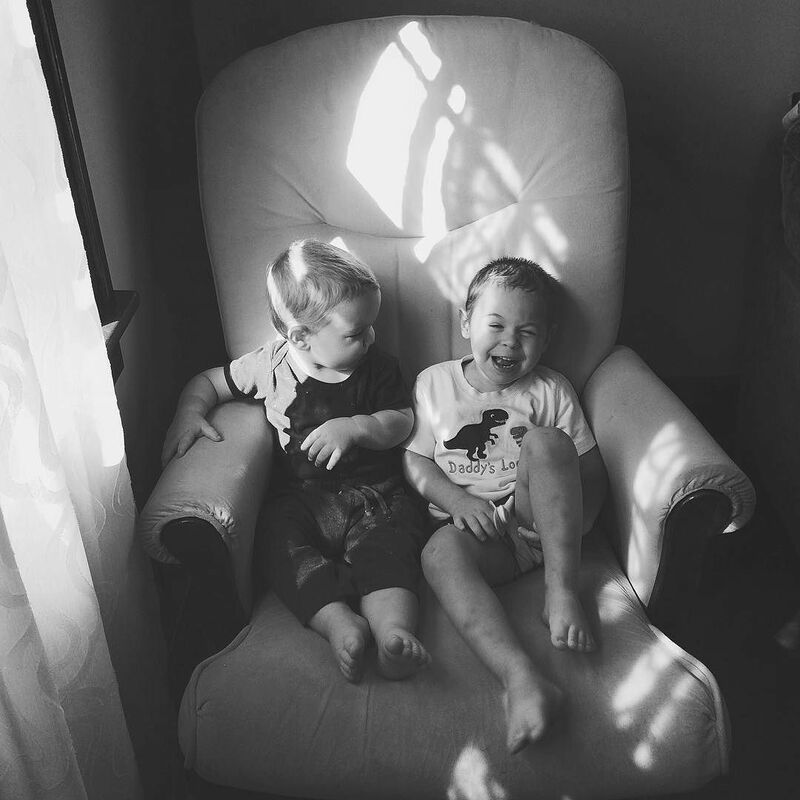 It wasn’t too long after Ezra was born that we started to notice that Micah had some developmental delays. He wasn’t talking as would be expected by someone at 18 months. He had a few fine motor skills delays that we were somewhat unconsciously ignoring, too. At the advisement of our wonderful pediatrician in Chicago, we signed up for early intervention and started getting regular speech and occupational therapy sessions to help Micah progress and be more consistent and intentional about helping him meet some milestones. At this point we weren’t really worried that Micah had any real issues or diagnosable issues at least. But I did always have that feeling that something was different about Micah. He was just way more active and hyper than any other kid his age was. Micah was always super enthusiastic about meeting new people. Stranger danger never really developed for him. He was over the top affectionate with any living thing – human being, dog, cat, or well, anything. And he was super curious all the time – both busy and tenacious. The stories and experiences that I’d hear about from other parents only partially aligned with what I was experiencing with Micah. And now that I had Ezra to contrast him to, our experience raising Micah contrasted significantly. It definitely threw up some red flags in the back of my mind. I can’t say enough about how much we appreciated the instruction and wisdom of Micah’s therapists. That’s especially true of his speech therapist. She was so incredibly helpful and empowering. I’ll always be thankful for her impact in Micah’s life, even though it was only for a few short months. In the fall of 2014 Sarah and I decided we needed to make a change in Sarah’s work situation and also move to be closer to my family. So we made the big decision to move out to Omaha, Nebraska. Sarah had applied for her dream job – a labor and delivery nurse – and got it pretty quickly after she applied and was interviewed. We had two weeks to move from Chicago to Omaha. We moved in with my mom temporarily while we looked for a place to live, with the incredible help of my cousin. During the transition to the Omaha area, we lost a lot of the routine that had been established in Chicago. It made things harder overall for everyone. 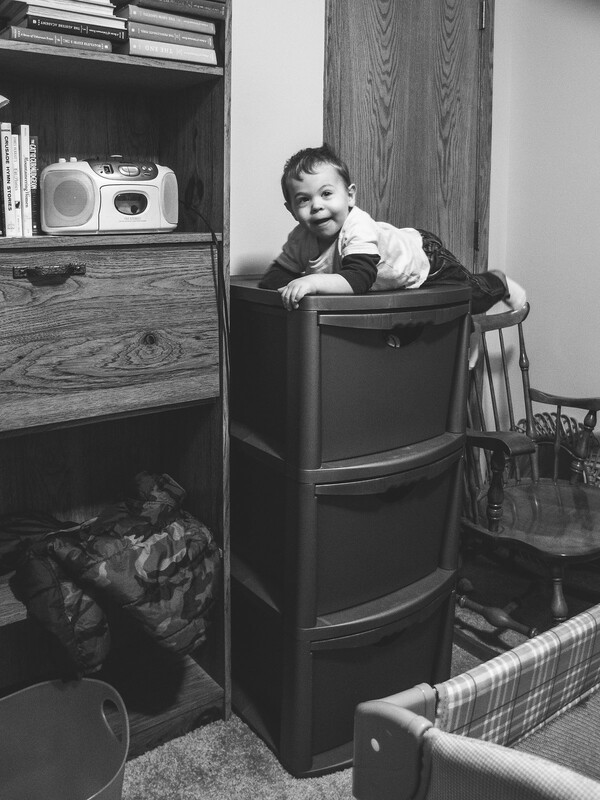 Micah learned to climb out of bed, and it made nap times and bed times quite the battle. In late January of 2015, we finally moved into a house all to ourselves for the first time. It was so great for the kids. They basically had the entire basement to themselves. And for the first time they could be as loud as they wanted to be without disturbing anyone (except their parents, of course). A couple weeks after moving in, on February 13th, a friend from my time in seminary contacted me on Facebook in a private message. Without much knowledge of Micah, she vulnerably reached out to me to let me know she was concerned that Micah might have a rare genetic disorder that she was familiar with. I had never mentioned Micah’s therapy or delays on Facebook, but she was able to notice through pictures of Micah that he had some abnormal features. 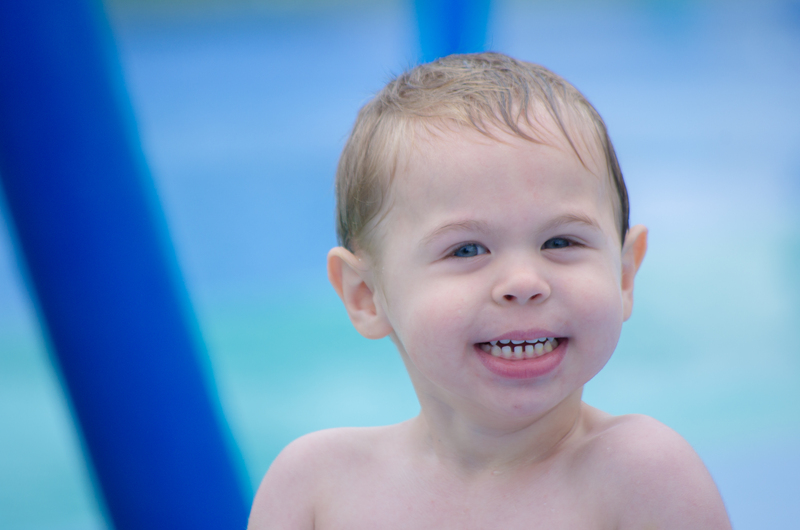 In a courageous and loving message, she challenged us to investigate if Micah perhaps had Williams Syndrome – a rare genetic syndrome that has distinctive facial features, developmental delays, and often comes with heart defects. I had never heard of it, as most haven’t, but she said it would be good to check out in case he had health or heart issues that needed to be addressed. Quickly I Googled Williams Syndrome and read all sorts of things about it. A dangerous thing, yes, but oh so informative. The more I read, the more things came into focus for me about Micah. My heart thumped loudly in my chest while surges of hot adrenaline caused my skin to tingle as I read articles, saw pictures, and watched videos. I brought it up with Sarah, and the more we learned, the more conflicted things became for me. Yes, this would explain so many of the issues and challenges we have had with Micah up to this point, but now what? What if he has it? Are all the plans we have made for ourselves destroyed? It’s amazing how fast the brain can move into hypothetical future problems. After some brief discussions with Sarah, we decided that we needed to contact a doctor that could help us with this. There are only two developmental pediatricians in Omaha, so we wanted to make an appointment with one of them as soon as possible. But before we were able to do that, we had a lot of paperwork we needed to have sent to their office, and that we needed to fill out ourselves before they would see Micah. That was enough to enable us to delay it. Honestly, we wanted to know and we didn’t want to know at the same time. There were days I wouldn’t even think about it at all. Micah is just a busy, lovable guy with lots of energy, right? Surely he’ll start talking soon enough. Parents were always trying to reassure us that he was fine, too. And that his speech delay was nothing to be worried about. That one day it would just click. Or that it was because he was a boy. Or that their kid didn’t really start talking until he was 2 or 2.5 or 3. The ages progressively got older as Micah also got older and still wasn’t talking. Until people’s input just kind of stopped. 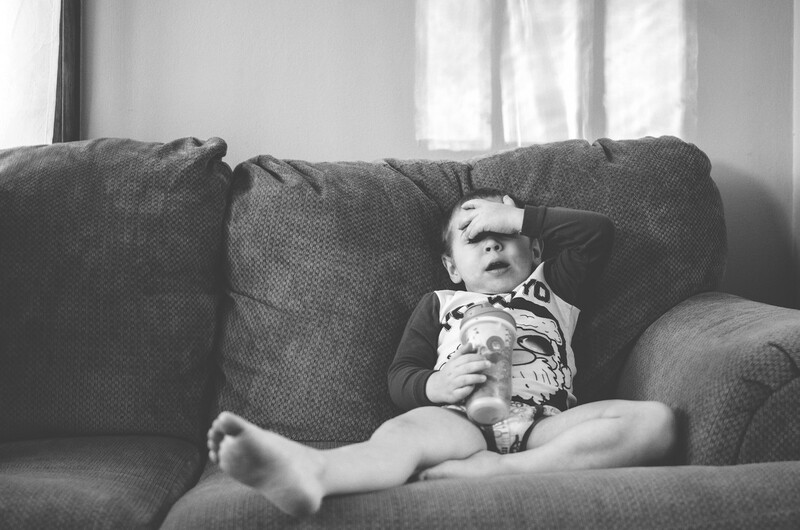 As Micah got closer and closer to turning three, I think we started to feel the pressure to figure out what might be up with Micah. We had delayed things long enough and needed to figure out if something was wrong, not for our sake, but for the sake of Micah’s health and development. We eventually were able to meet with a developmental pediatrician who was able to rule out Micah being on the autism spectrum. 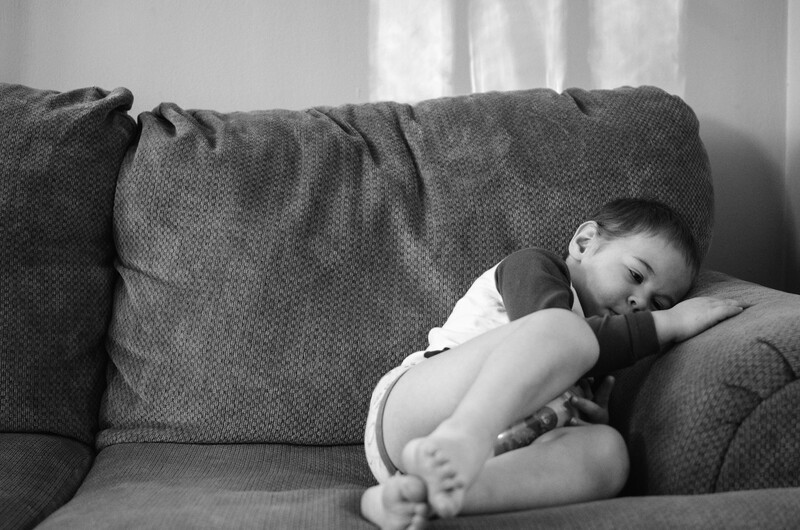 He told us he diagnoses someone with autism every day, which was amazing to me. 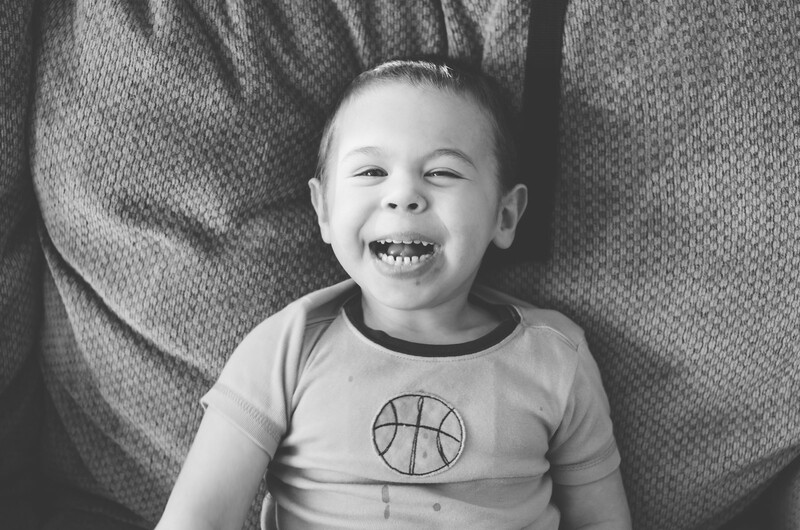 We were affirmed in our desire to get a genetic screening to find out whether or not Micah had Williams Syndrome. So we called a clinic to get Micah’s genetic testing set up and to our shock they told us they wouldn’t be able to see us until December 9th. That was five months away! We could hardly believe that we were going to have to wait that long. In the meantime we joined some Williams Syndrome support groups on Facebook. I can’t tell you how incredible online communities like that are. 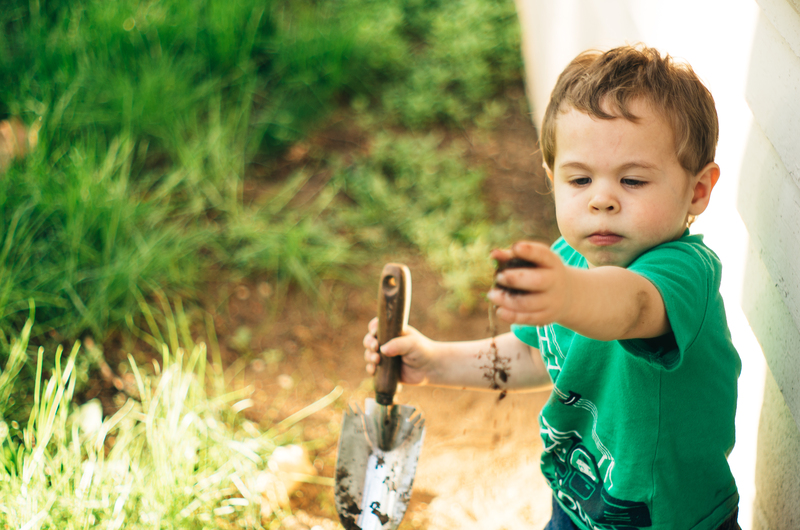 Even though we were not sure Micah had Williams Syndrome, we felt pretty confident that he might, and found a lot of encouragement through the group. Finally I was familiar with many of the stories of the little ones being talked about in this group. 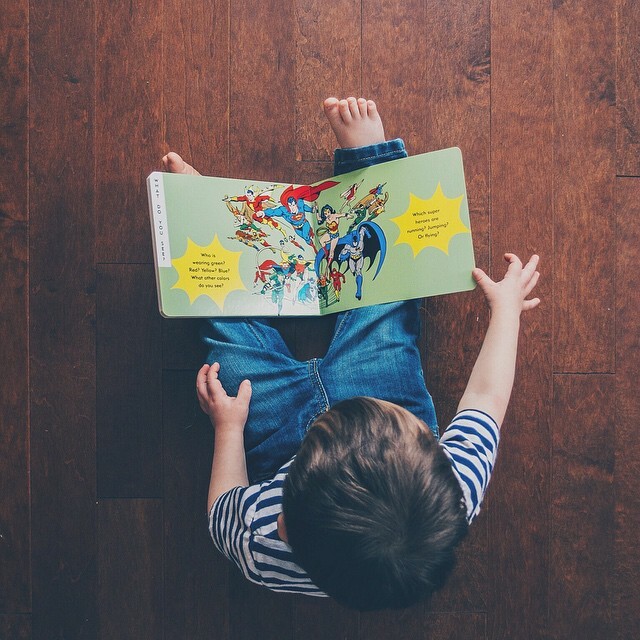 But many of their children had experienced some serious heart issues and other serious physical problems, which didn’t match up with Micah and definitely left some doubt in my mind about whether or not he did indeed have Williams Syndrome. It was a weird place to be – not knowing for sure. Sarah found out that another hospital system offered the genetic screen and had a very well respected geneticist, so we decided to try and call them and see if they would be able to test Micah before December. They were, and they scheduled a time to meet with Micah in September. So two months later we finally met with the geneticist. He is a brilliant (and eccentric) doctor that has been doing his thing for over 45 years. He checked Micah over and gave us the suggestion that he could possibly have Williams Syndrome. That suggestion was unprompted by us. This is someone who can basically diagnose people within five minutes and almost always be correct. So by this point it seemed pretty likely that Micah had Williams Syndrome because of the original suggestion from my friend, general (and cautious) acknowledgment that Micah had “the look” of a Williams Syndrome kid from parents who themselves have children with Williams Syndrome, and then finally the geneticist’s suggested diagnosis. 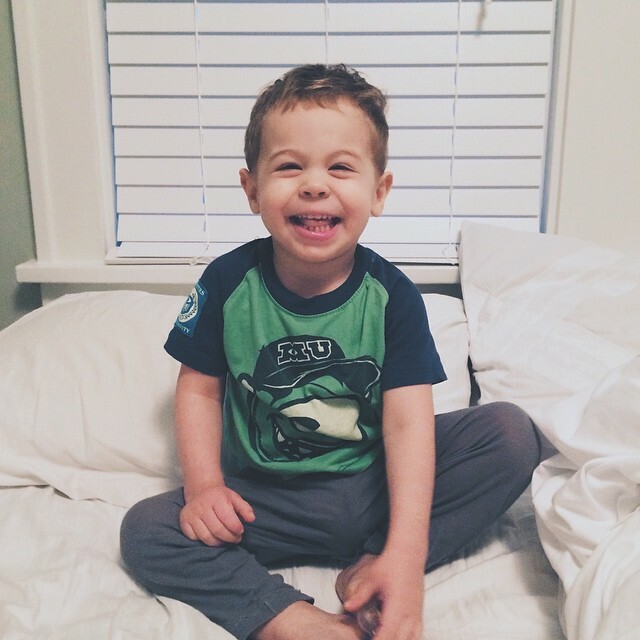 A genetic test to specifically verify whether or not Micah had Williams Syndrome was requested by the geneticist to be approved by our insurance company. After a little back and forth, it got approved and Micah had his blood drawn for the test. He jumped right to it. I barely knew how to respond. I was conflicted because if he did not have Williams Syndrome, then what? But yes, it was good news. But the lack of having something definite left me in an unexpectedly uneasy spot. I was relieved and anxious at the same time. I also felt kind of bad and conflicted that we had been in discussion with the Williams Syndrome support group on Facebook and then Micah ended up not having it after all. We were community-less again. A lonely place to be. On top of that I felt kind of guilty because we had assumed that Micah was like their children. But he wasn’t, and I felt kind of like a poser. After a little bit of further discussion with the geneticist, he said that he would recommend another genetic test, the broader microarray test which looks at something like 180,000 genes. If he did have something going on genetically, that test would be able to detect it. It was a bit more of a challenge for the microarray test to get approved by our insurance company. And time kept on ticking by. We were starting to get worried that we wouldn’t be able to get the test done within this year, meaning our insurance deductible would be reset, meaning we’d have to pay a lot more to get the test done. But eventually, a couple weeks into December we got the call from the geneticist’s office that the test got approved and that they were needing to draw Micah’s blood again. Sarah rushed over there to get that done, so that way they could get right to the testing. Getting the microarray test done didn’t guarantee that we’d actually get determinative results. We weren’t guaranteed a diagnosis. His results could come back and not have any duplications or deletions that caused any kind of concern. Or he could have duplications or deletions that they don’t know what they mean. It’s an interesting place to sit and be in – to be waiting for. What do we really want to have happen? If everything looks normal, then what does that mean about Micah’s development and delays? What would explain his behavioral and speech issues? Would it mean that we are just bad parents who did this to him? I didn’t like to think about it. Yesterday Sarah got a notification on her phone of a missed a phone call from the geneticist’s office. By the time she noticed, the office was closed for the day. But they left a message and told us to call back about the results. So this morning Sarah called them back and we were finally told that they had the results from the microarray test, and that the geneticist had a diagnosis to give Micah. Sarah came near me and turned on speakerphone. 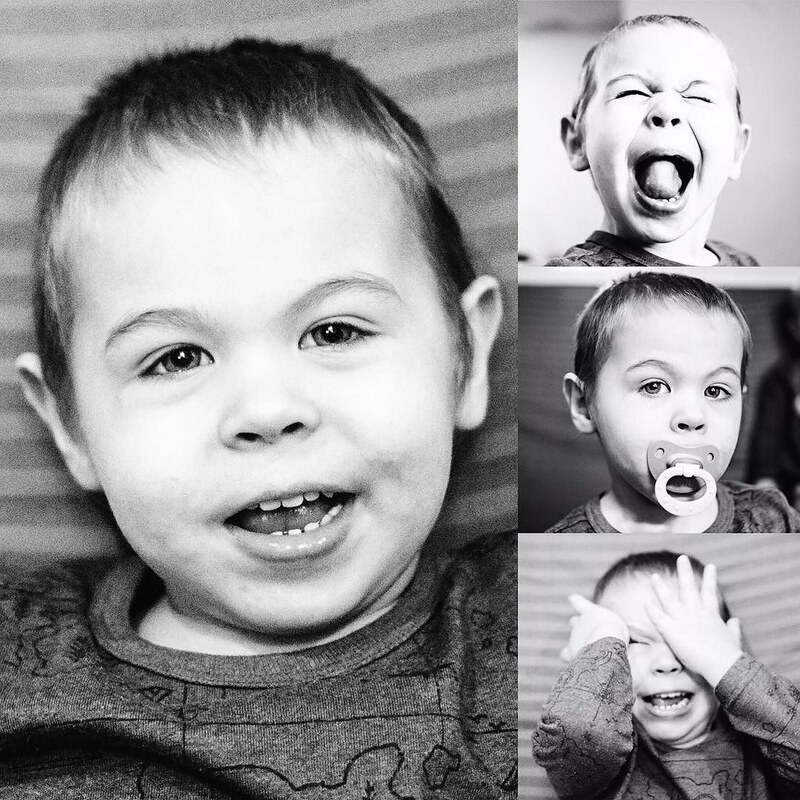 Micah has a partial duplication on the 12th chromosome, a specific duplication that would determine that he has a very rare genetic syndrome (three times more rare than Williams Syndrome) called Kabuki Syndrome. Finally. We had something definite to work with. What has been going on with Micah all this time has a name. A strange one at that. Kabuki Syndrome. Sarah and I have definitely been processing through this differently, and we haven’t really had a long time to discuss those differences. But by this point I was pretty sure Micah had something genetically going on that was inhibiting his development and speech. For me it is a relief to have a name, to have a syndrome that I can Google and find information about. To not be alone, kind of floating in the nebulous state of waiting for testing results. We scheduled an appointment to meet with them around lunch time today to discuss this more at length with the geneticists. Our meeting was very informative and helpful. He said that it is a genetic disorder that is oftentimes hard to diagnose unless one goes to the lengths we did to get tested. He said it is often misdiagnosed or confused with Williams Syndrome, but that kids with Kabuki Syndrome have less physical problems to worry about than those with Williams Syndrome. Our time with the geneticist was reassuring, validating, and empowering. And I can’t be thankful enough for the wonderful insight and knowledge that he was able to provide us with. What’s up with the name ‘Kabuki’? In a sort of bizarre coincidence, Micah Masato Seaman – an American child with two white American parents who gave him a Japanese middle name – has a rare genetic syndrome named after a Japanese dance-drama. Our geneticist told us that it is because of the prominent eyebrows that are very common with kids with this syndrome. Kabuki dancers are those famous dramatic looking faces covered with white makeup, highlighting the dark and prominent eyebrows. People with kabuki syndrome have prominent and high-arching eyebrows. The timing of this diagnosis was pretty incredible. Tomorrow Micah has an appointment and assessment with his first preschool teacher. And he could even start school as early as this Friday! Next week he’ll even have the ability to start riding a bus to school. 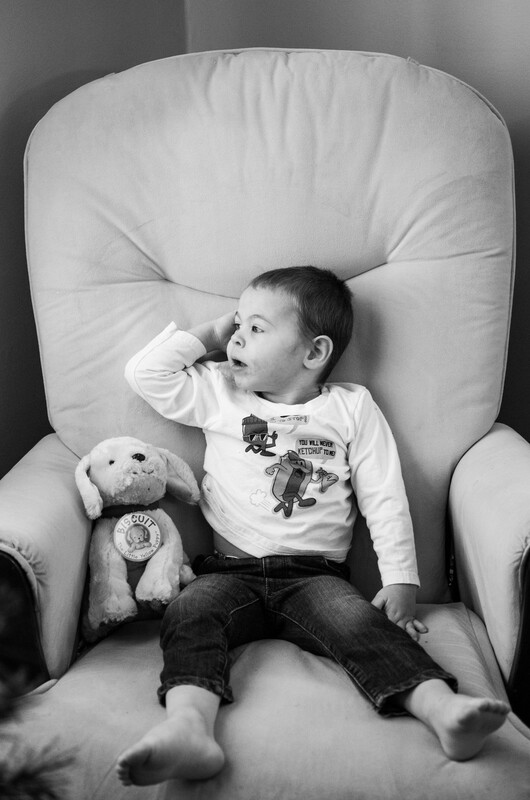 Now that we have this diagnosis we can help Micah get the proper help that he needs to thrive and continue to develop. It is pretty much guaranteed that his school will not have heard of Kabuki Syndrome. But because we have this diagnosis now, we are able to provide them with materials and resources that explain his needs and challenges. 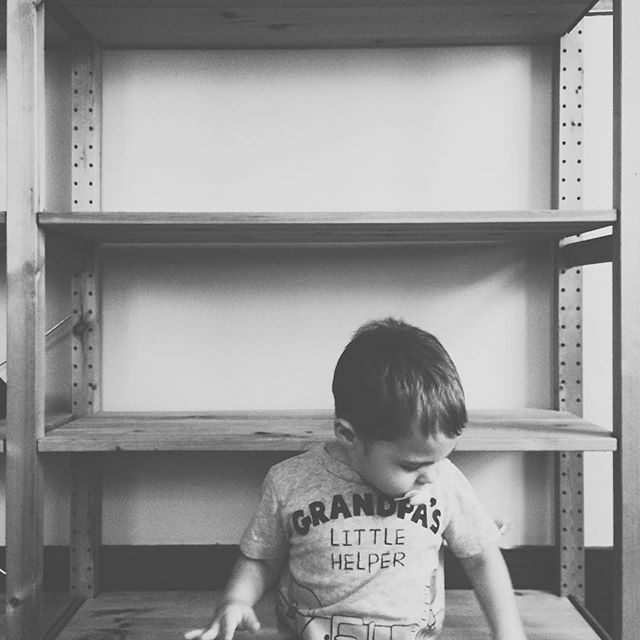 This will make it much easier to provide Micah with the structure that he specifically needs to learn, grow, and thrive as a young boy. Speech is his greatest challenge. For the most part, Micah does not say more than one word at a time. And although his vocabulary is continually growing, his enunciation of the words he knows and says are really tough to understand. 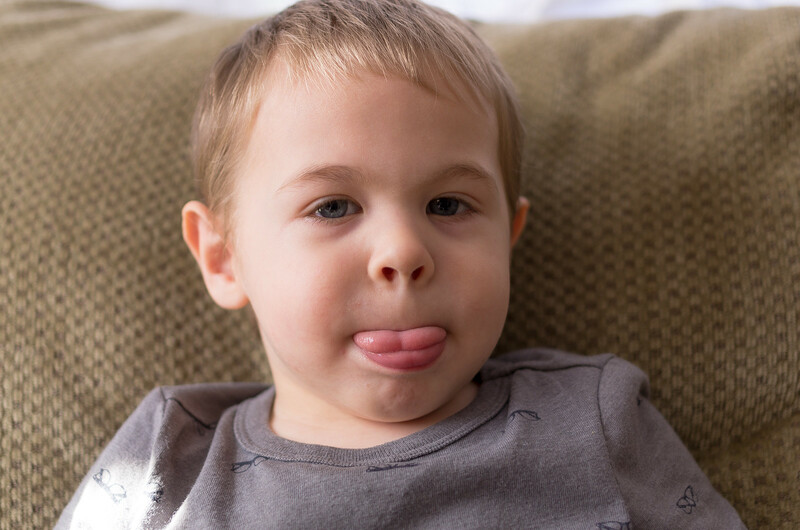 Thankfully, Micah will have speech therapy that will help him continue to push through the challenges of his speech delays and give us tools to help him improve here at home. So here we are. Sarah and I still have a lot to process through. But this is a huge milestone for Micah and for our family as a whole. Thanks to many of our friends and family members who have been there for us throughout this process and throughout Micah’s entire life. Micah is an incredible kid. Anyone who has met him knows that. I dare you to find someone more tenacious than him. (Or someone that loves doors more than him.) We love him so much. And we are going to continue to do everything we can to help him exceed the expectations or limitations that others may place on him. He’s a smart, creative, and hilarious kid. I look forward to seeing him grow into that amazing personality of his.